Sirocco Marine is launching in Australia the Brig Falcon Rider F620 at Sanctuary Cove Boat Show in 2009. Designed in Europe by inflatable innovators Brig, the Falcon Rider 620 weights 550kg and is easy to tow and launch. 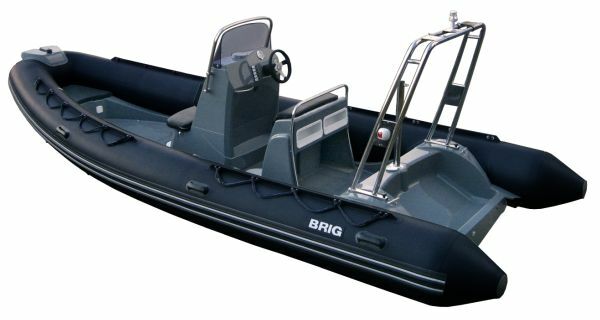 The inflatable boat has an engine choice of up to a maximum of 150hp or twin 80hp outboards. The deep-vee fibreglass hull ensures excellent stability while the non-skid rigid fibreglass deck gives passengers a firm footing. The inflatable has Hypalon inflatable pontoons, a synthetic rubber material noted for its resistance to chemicals, temperature extremes and exposure to UV light. Standard equipment includes a built in bow locker to keep gear secure. A wide reinforced rubbing strake offers protection. Used as a tender, two davit-lift points make loading and unloading easy.